Have you already scheduled this day in your diary? Saturday, March 16th, 2019 the 28st Modelshow Europe will be held in the flowerauction "Plantion" nearby the city Ede in the Netherlands. Mark your calendars and make your reservations. It will be a BLAST! 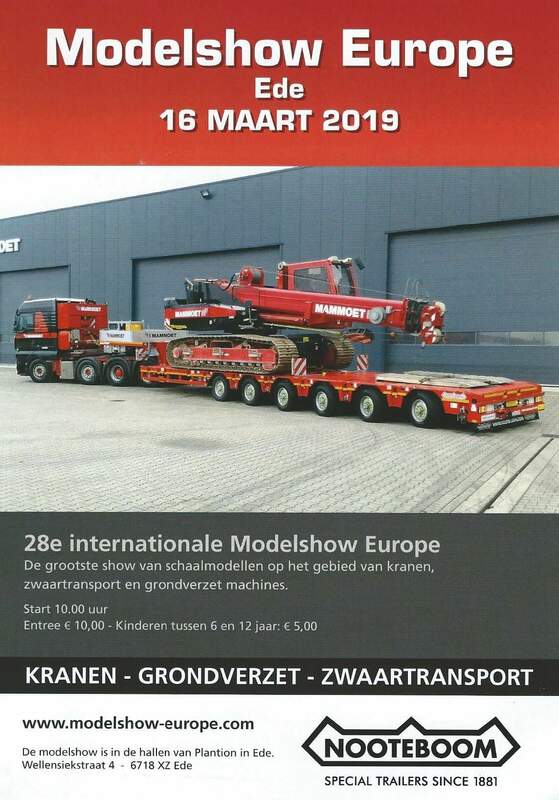 On this special exhibition one can once again see all kinds of miniatures and model construction projects in the field of earthmoving, cranes and heavy transport. This Modelshow Europe exhibition is unique by its grand design and the only one in Europe. Many collectors and builders show on the Modelshow Europe their (rebuilt and/or radio controlled) models. 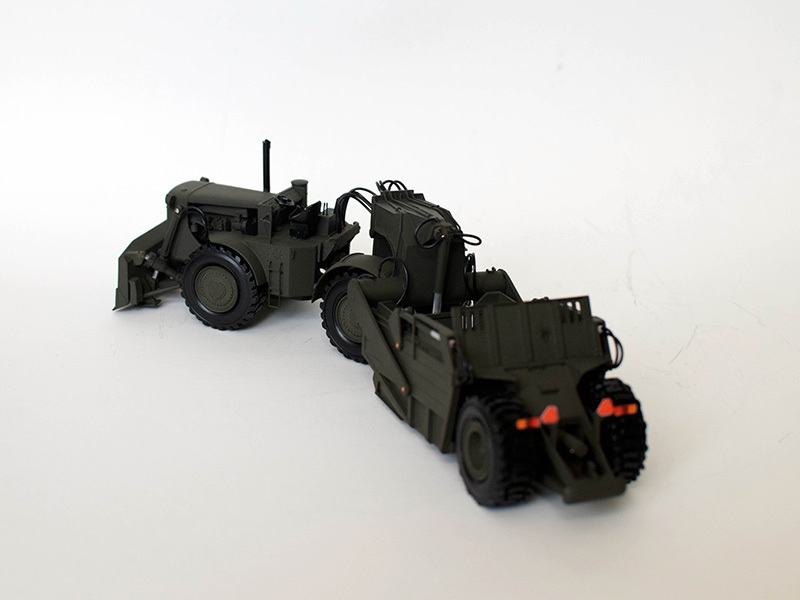 Also a wide range of miniatures and related components for the model are offered for sale. To download the Flyer? Just click on the picture! 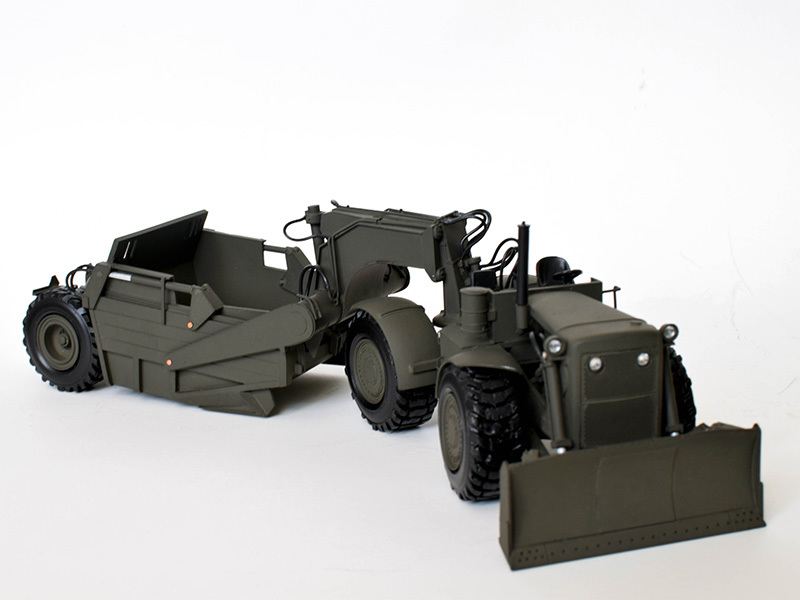 FanKit Models is developing and producing miniatures at different scales (1/50, 1/35, 1/72) from civilian- and military vehicles and construction equipment. All products are handmade from resin using different accessories, professional airbrush paint, and are as detailed as possible in accordance with the scale used. In the upcoming “Making of…” I will add progress photos and dimensional details. Final sales price and the delivery schedule date of this custom built scale model will be posted on our Website when available. Most likely the introduction will take place during the Modelshow Europe 2019. 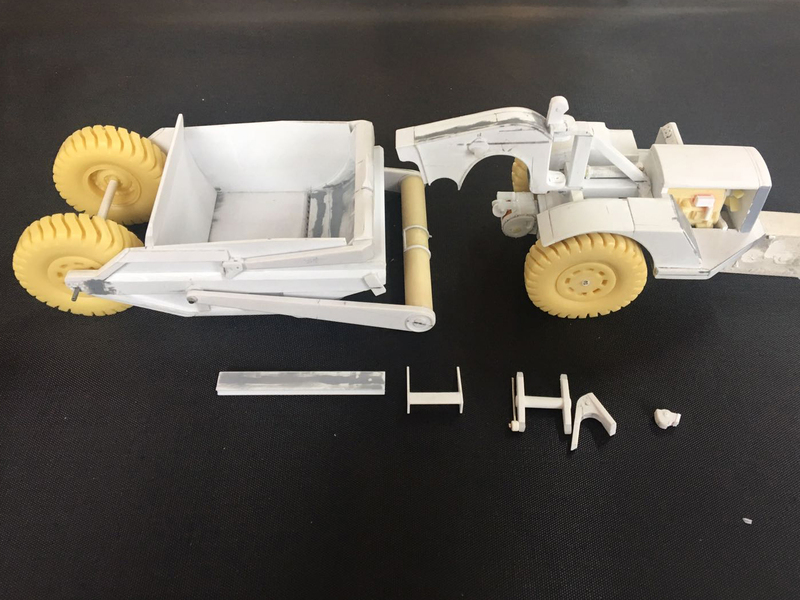 If you are interested in this built scale model of the Caterpillar DW21 Wheel Tractor-Scraper it is important to respond with your (but still non-binding) PRE ORDER by e-mail to fankitmodels@yahoo.com. Only then you can be assured that the model is also produced effectively for you. More information about their unique scale models which are custom made in a very limited editions? Click on the link and visit the FanKit Models website. 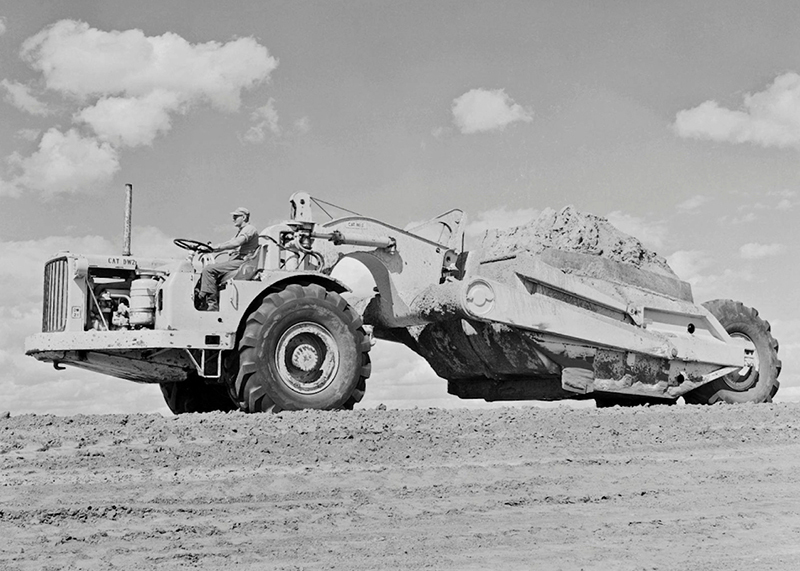 Caterpillar 830M with Curtiss Wright 18M Scraper "US Army"
This knock out model of the Caterpillar 830M with Curtiss Wright 18M Scraper "US Army" will be available in very limited numbers. The Sales price is 340,- euro for a model built and 180,- euro for a set in kit and shipping cost. Its also possible to buy only the Curtiss Wright 18M scraper for 180,- ready built and for 100,- euro as kit. CypModels does discounts for larger orders and ships worldwide. Payment with PayPal is possible. Besides the "US Army" scale model there is a “Old Highway Yellow” civil version available. Both version will be on display during the Modelshow Europe 2019. 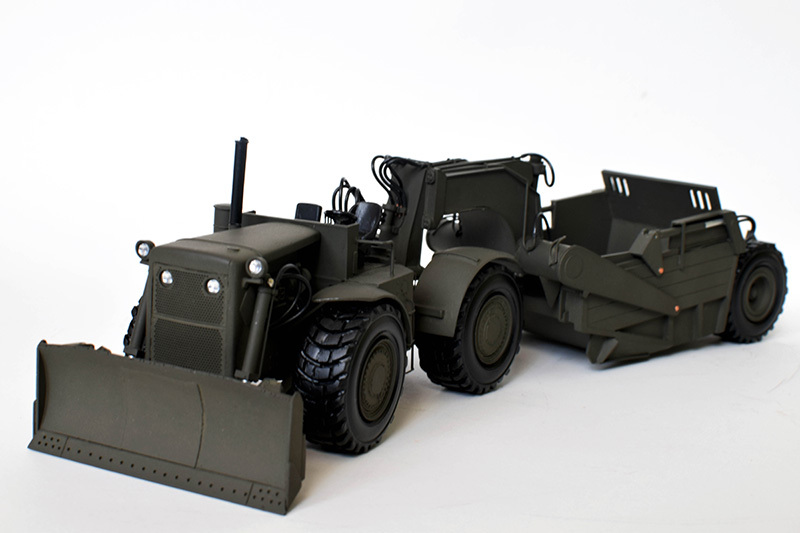 If you are interested in this hand built scale model or kit from the Caterpillar 830M with Curtiss Wright 18M Scraper "US Army" respond by e-mail and I will forward your request. Only then you can be assured that the model is also produced effectively for you. The custom builder does ship worldwide at actual shipping cost and you can pay with PayPal.